Steven Weisel’s time with Otsuka Pharmaceutical Development & Commercialization, Inc., a member of a global group of companies committed to developing and delivering solutions to patients, particularly in the area of serious mental illness, didn’t begin in the business’s legal department. Instead, he initially joined as a human resources professional, after working in HR for nearly two decades. Steve earned his JD from George Washington University in 1982 and had chosen a career in HR because it felt like a better personality fit. However, as he worked more and more with Otsuka’s legal team on employment issues, the head of that department decided he could add more value to Otsuka as a member of the legal team. The head of HR agreed that Steve needed new challenges to continue his professional growth and development, and in 2005 Steve transferred to the legal department. Since assuming leadership of the legal department in 2008, Weisel has used his combined skill set to help align the department with Otsuka’s broader business strategies—first by expanding the size and scope of the department and instituting a client- and business-focused approach and more recently by introducing new technology, including automation and cloud-based technology, to improve the speed and efficiency of the company’s services. 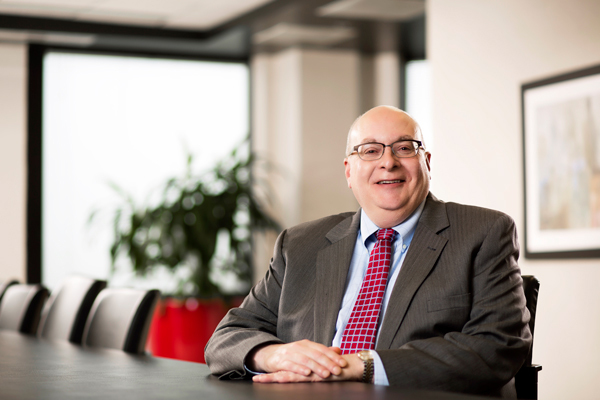 “One of the best things that’s happened with our department here over the past ten years is that we’re seen as a partner that helps the business navigate new legal questions as it fulfills its mission of developing novel and innovative products and solutions,” Weisel says. Weisel worked to get management and other departments of the company to include the legal department early in all major business discussions—to help the legal team better understand where the company wanted to go. And, as Weisel worked to get his growing team into meetings—while encouraging its members to be partners in business initiatives, to mitigate legal risks from the outset—he was able to identify and address other areas for improvement. Specifically, in 2009, he began moving the legal department from its previously paper-driven processes to an automated contract system, one that allowed the company and other parties to see and make changes to documents online. “This created more speed and transparency and gave the members of the legal team metrics to report on, making them better partners and collaborators,” Weisel says. He also embraced his team’s idea of creating a database to track inquiries and responses, which allowed the company to gather more information about calls coming in for various products and improved its ability to spot issues. His efforts led to his appointment as vice president and general counsel in March 2010. Since then, Weisel has continued to focus on establishing the legal department as a true business partner and ensuring the growth and development of his team. Recently, he asked the team to look for ways to improve the management of corporate records at the board level. It’s currently in the process of implementing a cloud-based portal that will allow Otsuka to share documents with its board members—and allow board members to access records and conduct business online. At press time, Weisel hoped to have the portal up and running by spring of 2018.